Tanya is an experienced digital detox speaker and speaker on tech-life balance at public events. She speaks at open and public events on her books and her podcast and how to get a healthy tech-life balance. Tanya will be speaking at Stella LIVE (Saatchi Gallery, London, 10 May 2019). Tanya is currently confirming further 2019 public speaking engagements which will be updated here shortly. 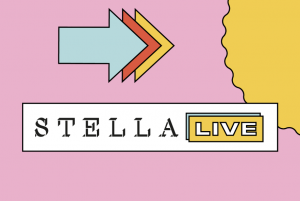 Stella Live is bringing everything you love about Stella magazine, to life – to create an unmissable celebration of ageless beauty, fashion, style and wellbeing. Designed and curated by the award winning Stella team, to bring you a packed programme of beauty, fashion, lifestyle inspiration and advice along with fun and provocative interactive debates and interviews with expert speakers and celebrities. Tanya will be speaking on 10th May at 1.40pm on ‘How to raise healthy children in a digital age’. Chair, Uniting for Children Foundation Curaçao.